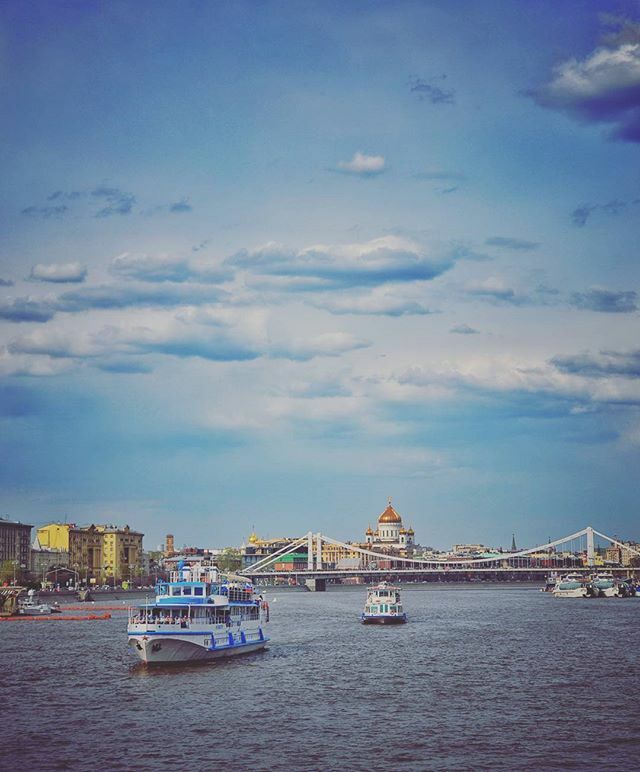 Many small and larger cruise ships floating every day on the Moskva river allowing tourists and locals to enjoy many of the city's landmarks without the hassle of the busy roads. Many of the cruise ships have restaurants and you can enjoy a nice dinner while cruising around Moscow. Tagged allmsk, beautifulldestinations, cruise, discover, explore, exploremore, hd_moscow, ilovemsk, Moscow, moscowbon, moscowcity, moscowonline, moscowtips, moscowtoday, moscow_gram, moscow_ig, moskvariver, msconline, msk, photorussia, roundtheworld, russianexplorers, topmoscowphoto, topmsk, travel, travelgram, vsco, wanderlust, москва.